I’m so happy to announce Close To My Heart’s special for July!!!!! 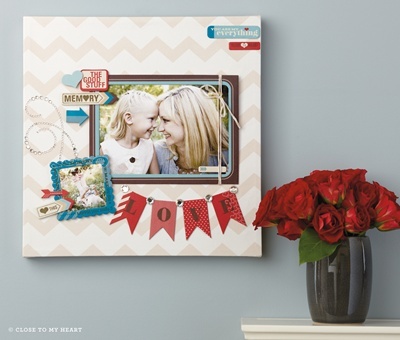 Get the discounted Workshops on the Go® canvas art kit in July—July 1 until July 31 you can get this trendy kit to create your own canvas art to hang in your home, regularly priced at $39.95, now discounted to $19.95—more than 50% off! NO QUALIFYING PURCHASE REQUIRED! Take papercrafting to the next level with this adorable home décor piece that you can display for all to see. This is a WHILE SUPPLIES LAST ONLY promotion. Click here to order yours today!!! Also remember Let’s Get Patriotic! is still happening!!! Celebrate military service and promote patriotism with Close To My Heart’s new patriotic stamp sets— $3 dollars from each B-size My Acrylix®Courage stamp set and $5 from each D-size My Acrylix® Home of the Brave stamp set will be donated to the USO, the leading, most recognized military-support and services organization in the country. 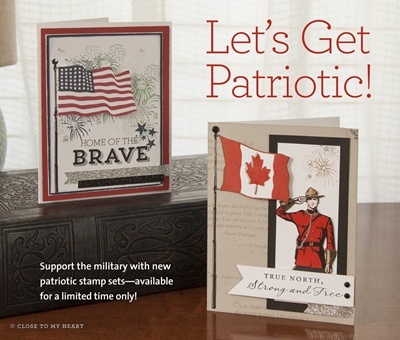 Show your support with your own patriotic stamp set! Home Of The Brave Stamp Set, Courage Stamp Set, and Strong and Free Stamp Set are available until July 31.